What ABC, Seven, Nine & SKY News said on NZ coverage. Media Watch last night covered the broadcasts of NZ news events, suggesting some networks went too far in the vision they broadcast. Broadcasts have attracted hefty commentary and are now the subject of an investigation by the Australian Communications and Media Authority. Several networks responded to questions raised by ABC. We elected to show a small segment of the footage but certainly did not show any graphic vision. Our footage stopped well before any violent images. surrounding our coverage of the events. Sky News Australia provides a live simulcast into New Zealand on the SKY television platform. With SKY NZ’s agreement, we took the pre-emptive and precautionary step to switch our live news feed to sports coverage early Friday evening to ensure any live coverage or commentary taking place in Australia, outside of the NZ jurisdiction, does not impact the unfolding events in NZ. 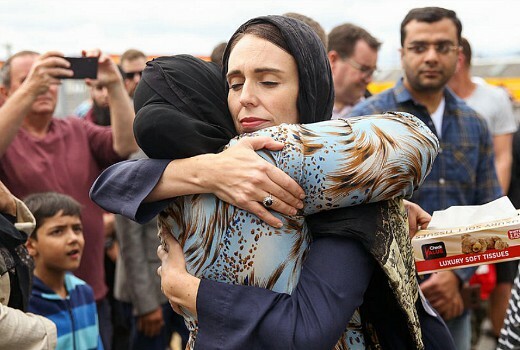 On Friday, in line with other Australian broadcasters, we ran heavily-edited and carefully selected video that featured no vision from inside the mosque, no shootings and no victims. At no stage did we feature the live vision. morning, unlike other networks who continued to do so. Sky News Australia acted responsibly and prudently to replace the live news service in NZ as soon as we were able to. The reason media reported that Sky News Australia was withdraw from SKY in NZ was because of Sky NZ’s initial tweet that was subsequently deleted. It blamed the broadcast of the distressing video. Sky News Australia can’t then blame the other media for mis-reporting. You could expect journalists to check the facts first prior to reporting. That is kind of fundamental to journalism. I don’t think that is fair at all. The tweets was online for a while. Then deleted. That is basically a statement from Sky NZ. Obviously that is the truth, and then to tone it down and make everyone look good (considering they are the same parent company) they changed their tune. What I don’t get in this day and age of developing AI, facial recognition and generally “computers” being to recognise anything is why this isn’t applied to “live streaming” and the moment a gun or blood or anything else horrific or inappropriate is detected it is instantly stopped and the user flagged, and ideally their location and details immediately sent to authorities. Complex AI is still in its infancy. Most censoring is still done manually by people who are hired to go through flagged content and determine if it is appropriate or not. Many people who do this job end up with variations of PTSD and the turn over of this type of employment is quite high so it is no wonder a lot of content slips through the cracks. The problem with banning Tarrant from the internet is that nobody new he was lunatic until he posted just before commenced the shooting. Secondly he can always create or find another account to post under. How well have we stopped IS posting on the internet? And as to what Tarrant says it is pretty much what Brevik and many others have said before. NIne are the only one who went to far, and they will be answerable to ACMA not Paul Barry who is trying to use this tragedy to further his own ends. The fact that “he” (the pig who killed innocent people) was able to broadcast live on social media with no one reporting it is the bigger issue here. Holding our news services accountable for “showing to much” is ridiculous. What happened was violent and disgusting. It is very hard to censor news and impossible to censor real life. News readers and Journalists stand at the front line and have to deliver us news that often leaves us shocked to the core and in tears so imagine the impact it must have on the men and women reporting these stories. How about focusing on the victims and their families and not on whether to much was aired. Focus should be on the victims and their families, yes. But don’t you think the shooter’s own footage would be distressing to the families of the victims? Even if it didn’t show the killings, it puts us behind the shooter’s gun, it has us walking up to the door of the mosque with a gun, as if we’re the shooter himself. I thought it was disgusting and unnecessary, and completely insensitive.